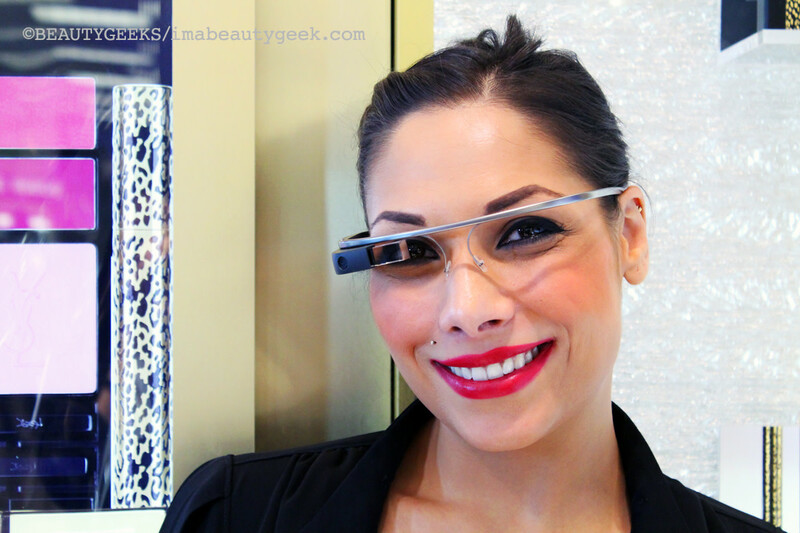 My YSL Google Glass Makeup How-To Video: Wanna See? I&apos;ve been on tenterhooks awaiting the arrival of a link to my YSL Google Glass makeup how-to video. I mentioned a couple of weeks back that I&apos;d had my makeup done at the YSL Beauty counter at Hudson&apos;s Bay on Queen St. YSL artist Natalie Pistillo wore a Google Glass unit; as she worked with me, she recorded her application and technique, and shared tips as well. Wanna see how it turned out? 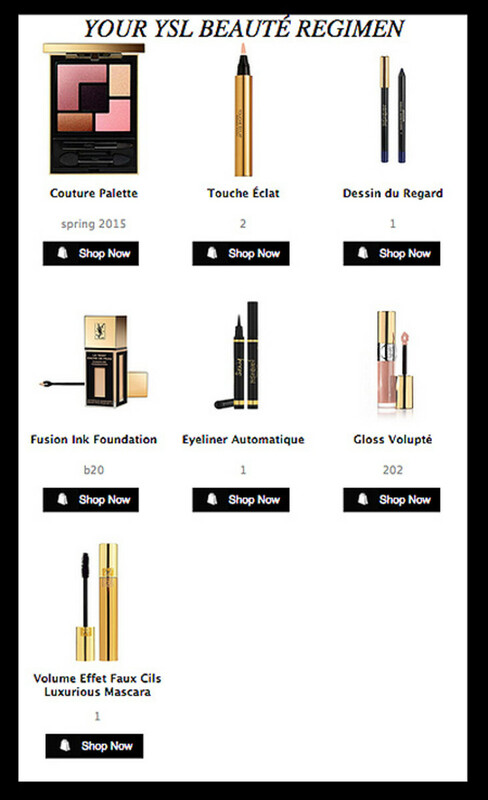 Remember all that stuff about YSL teaming up with Google Glass to provide next-level makeup application experiences? Afterward, the participant receives an email with reassuring before-and-after photos, a link to the video, and an illustrated list of products the artist used. Yup, kinda like the photo above and the photo below. This makeup-counter application of Google Glass tech is pretty smart. 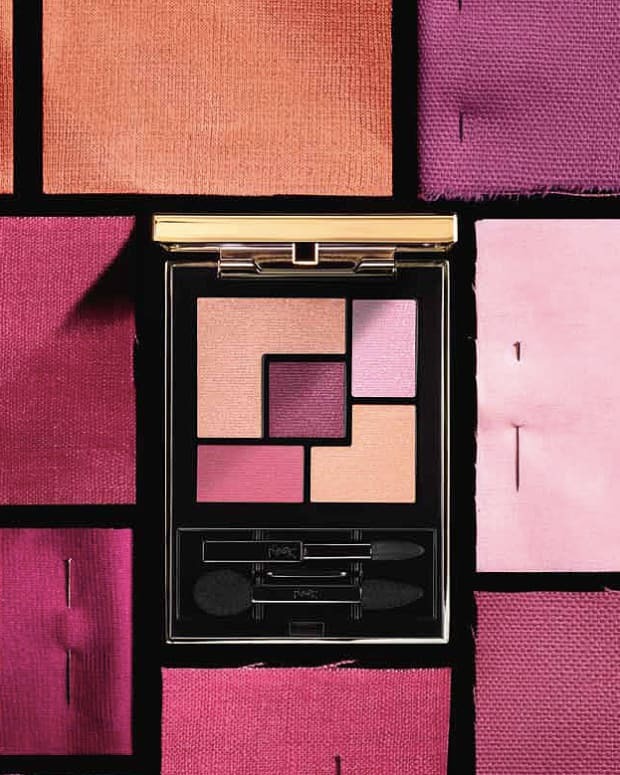 YSL shows clients what&apos;s new and notable, how to apply it themselves with their own how-to video as a guide, and makes shopping for the product as simple as clicking a button in your email. Genius. Also smart: while she films (with just a tap on the side of her Google Glass frame), your YSL makeup artist can talk up each item she uses. You&apos;ll hear it every time you watch your video. My inner Virgo would like better lighting, but whatever. 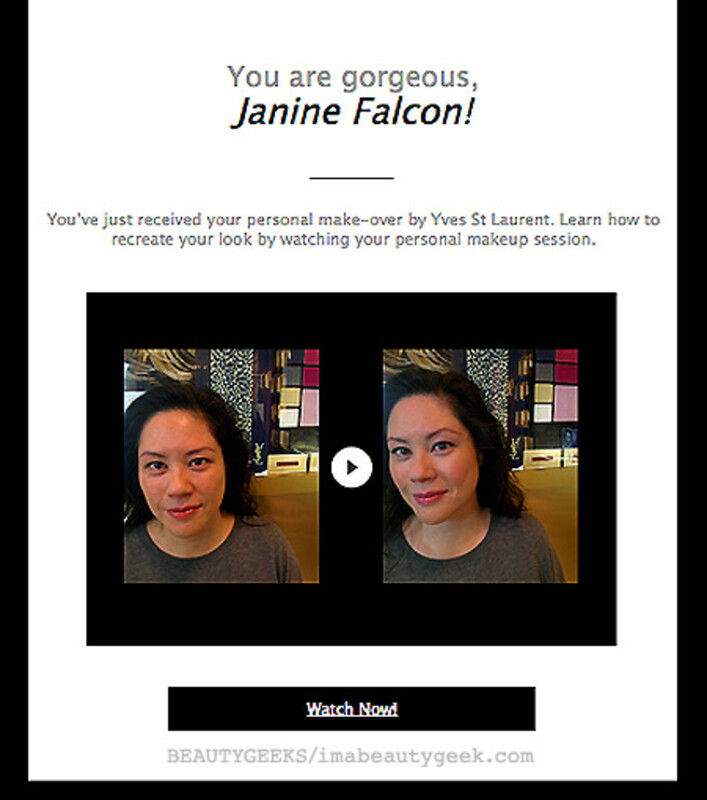 This YSL Google Glass makeup application experience with Natalie was fun. 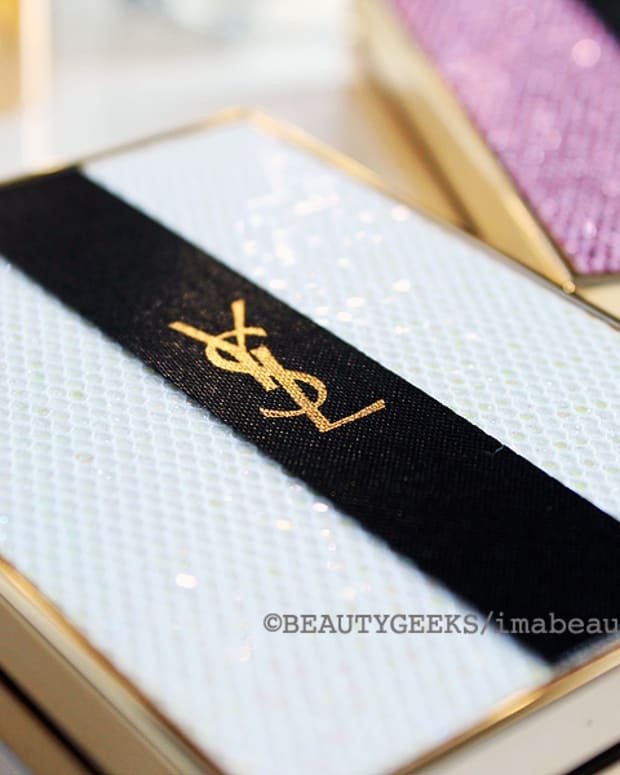 Plus we got to play in the YSL Spring 2015 makeup collection (love that eyeshadow palette). And isn&apos;t watching someone&apos;s technique on your own face a great way to learn? 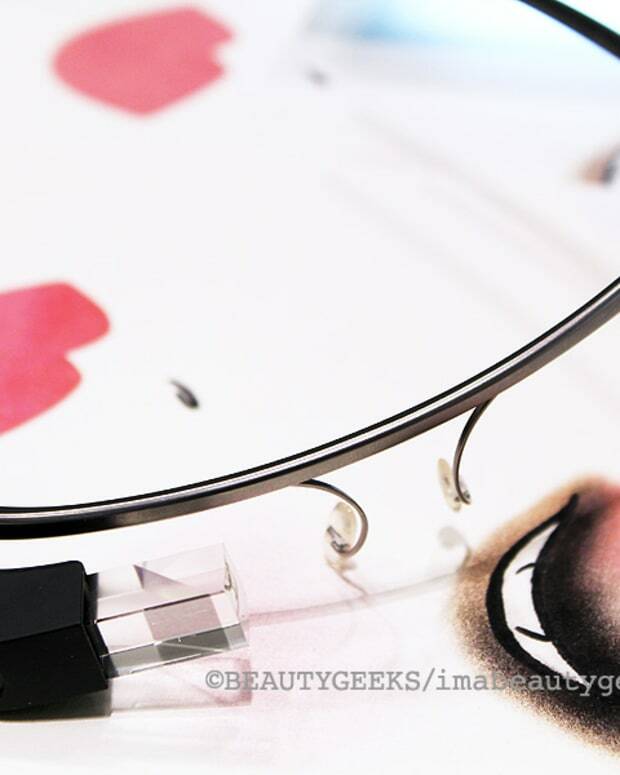 If you live in Toronto or Montreal, you can try the YSL Google Glass thing yourself starting next week! Just book a time slot ASAP; space is very limited. So, whaddya think? Would you find this a useful approach to a makeup-counter application? Have you booked your Google Glass time yet? ?